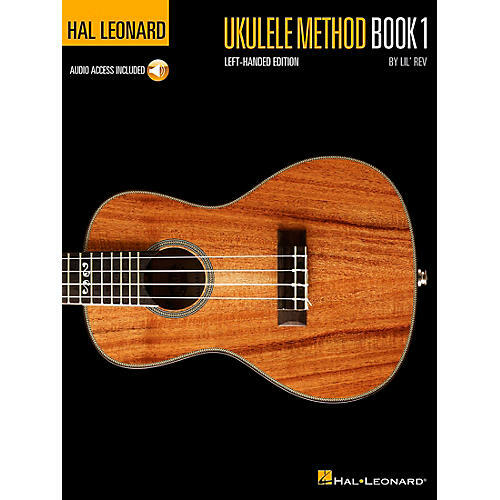 The Hal Leonard Ukulele Method is designed for anyone just learning to play ukulele. This comprehensive and easy-to-use beginner's guide by acclaimed performer and uke master Lil' Rev includes many fun songs of different styles to learn and play. The accompanying Online Audio contains 46 tracks of songs for demonstration and play along. Includes: types of ukuleles, tuning, music reading, melody playing, chords, strumming, scales, tremolo, music notation and tablature, a variety of music styles, ukulele history and much more.